Developer Saare Wind Energy plans to build a 100-turbine project between 10 and 27 kilometres west of the island of Saaremaa off mainland Estonia’s west coast. However, the government has refused to start the procedure to award a 50-year building permit for the site. The agenda of a government’s meeting on 4 April stated "the reason for the refusal is the suspicion that the applicant may endanger public order, social security and national security when receiving a building permit". Tuuliki Kasonen, general manager of the Estonian Wind Power Association, told Windpower Monthly the country’s Internal Security Service believed the owners of Saare Wind Energy — Veiko Vali (66.7%) and Kuido Kartau (33.3%) — have "connections to Russian money". Kuido Kartau, a planning and environmental consultant, said the refusal to start permitting was due to government fears that the developer could be "manipulated by unfriendly states or investors — meaning Russia". He dismissed this argument as "demagogy and fantasy", and told Windpower Monthly he believed that the government aimed to "steal" the project — which has already received preliminary approvals ahead of building permitting — for the Estonian state energy company Eesti Energia to develop instead. Windpower Monthly has contacted the Estonian government to confirm it refused to start the permitting process and explain the specific nature of and the reasons behind its concerns about the developer. 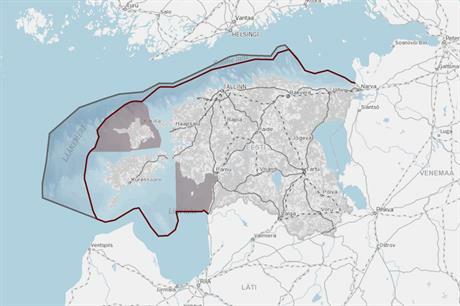 The Saaremaa site is within one of the approved zones for offshore wind development in Estonia’s draft maritime spatial plan. The draft was released last week and put out to public consultation.